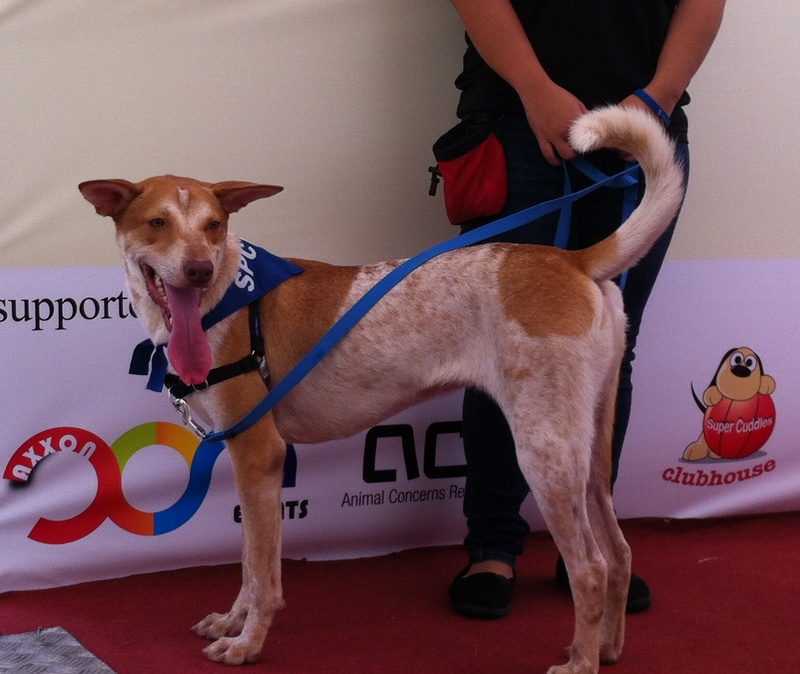 It’s my second World Animal Day volunteering with SPCA and I was so excited because so many cutie doggies would come and I could play with them and grabbing them without seems like a weird stranger touching random people’s dogs in the street. Yes, I have this weird habit of touching stranger’s dogs without asking permission. 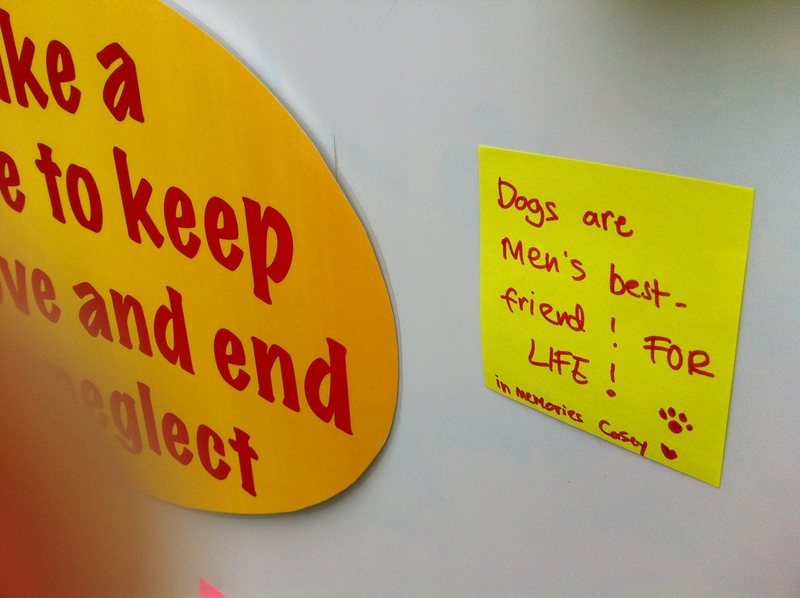 Some Singaporeans don’t like their dogs to be touched. 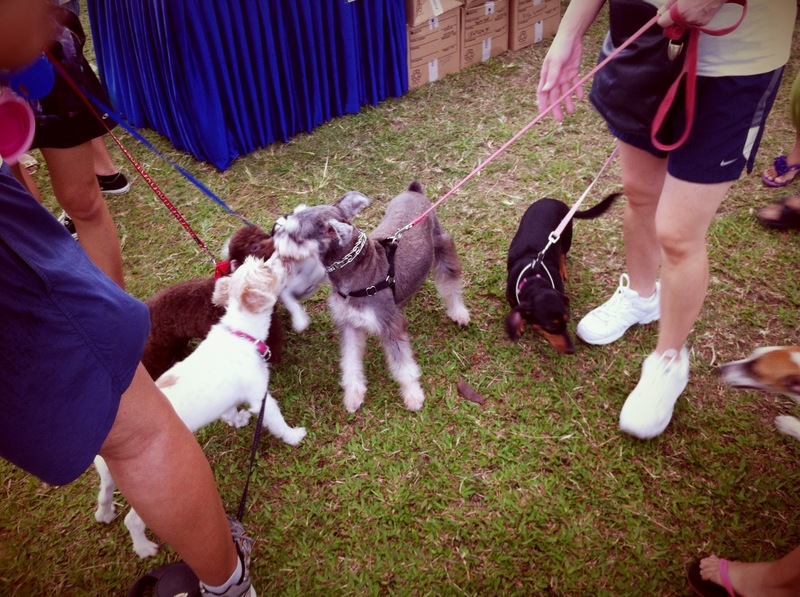 While I was always uncontrollable when seeing a cute dogs, so without any hesitations, I would straightaway touched them. This page is supposed for eye candy only, to parading how cute dogs are. Enjoy! His name is Snoopy! 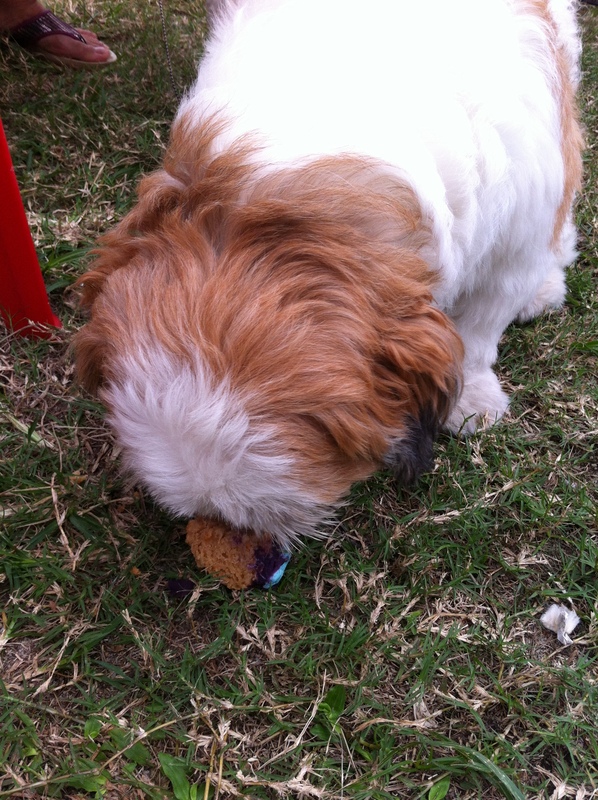 And apparently his owner is not Charlie Brown! Thank you Body Shop for initiating that awesome thing! These two girls were also volunteering for us by selling candies. 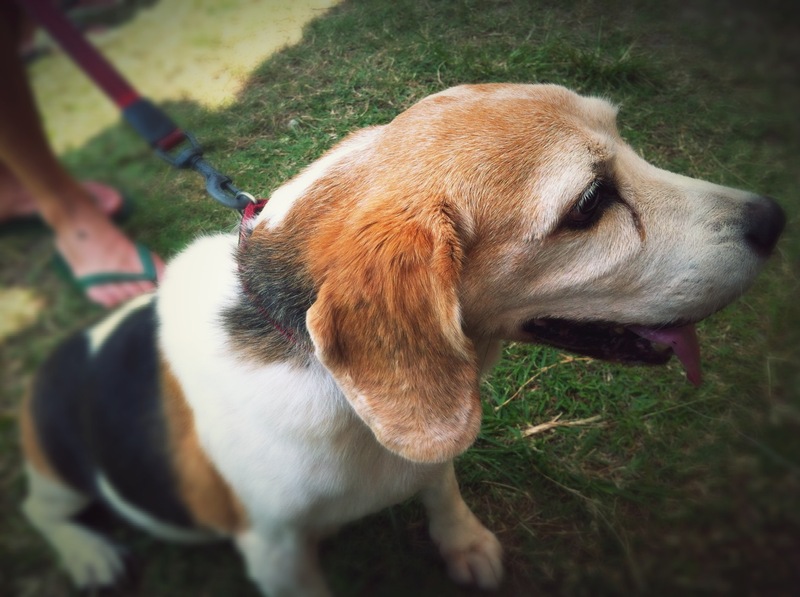 The cute beagle is their dogs. All dogs got jammed up! So cute! His name is Rocky and he is a saliva machine! Viking is up for adoption. 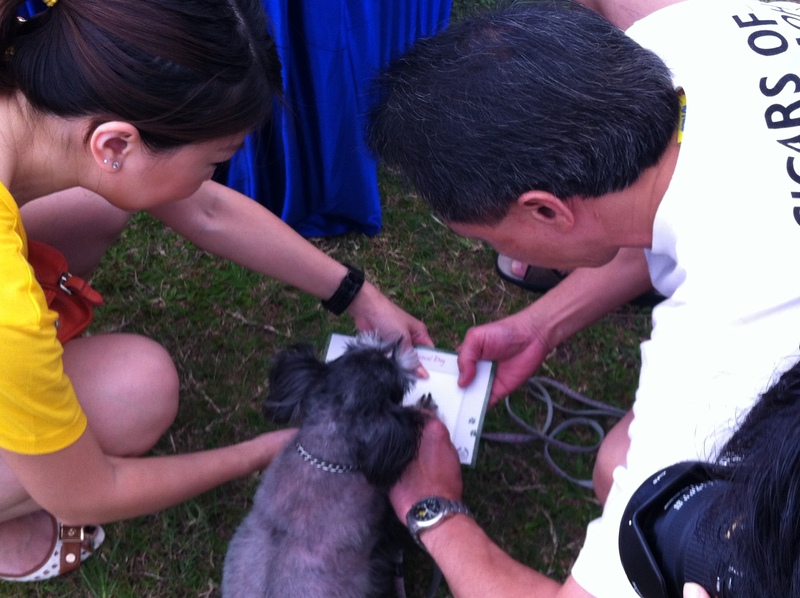 He is celebrating SPCA’s 60th Birthday on the stage! 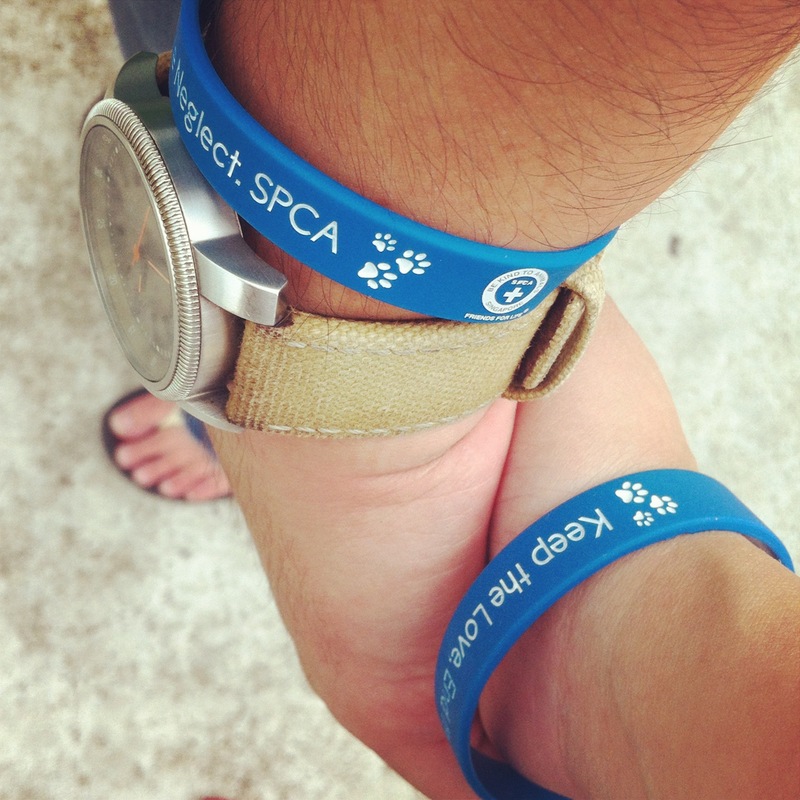 So, that was all for the SPCA World Animal Day 2012. It was sooo fun! I hope more people coming next year, it’s on East Coast Park anyway. 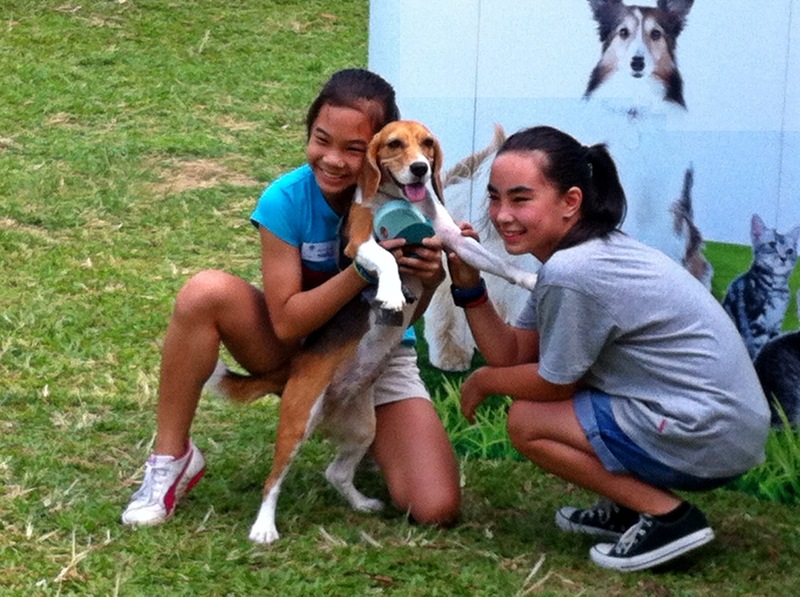 Visit SPCA website for upcoming events to see more cuteness parade! They’re still ongoing the effort though. 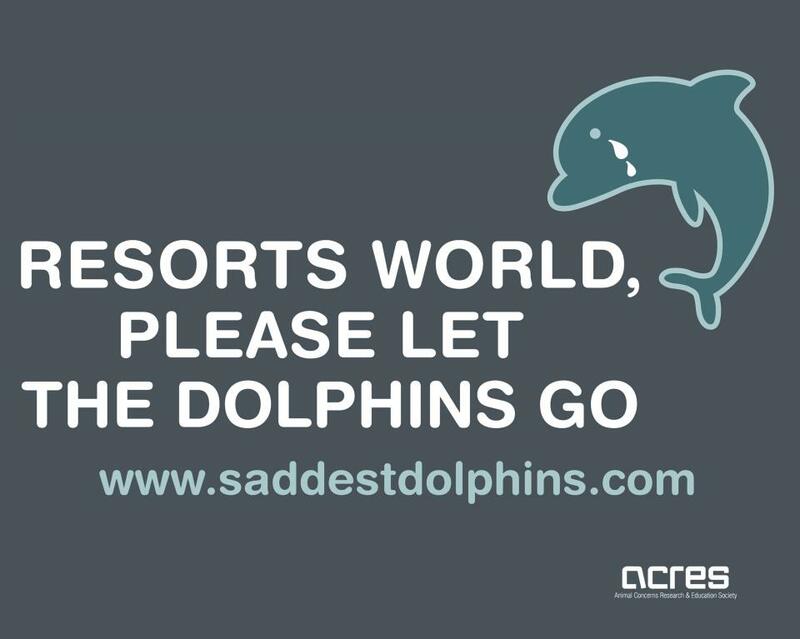 This is the Save the saddest Dolphin post, if you’re wondering what it is about. Keep the Love, End the Neglect! Do you own pets? Share to me I’ll looooove to see! 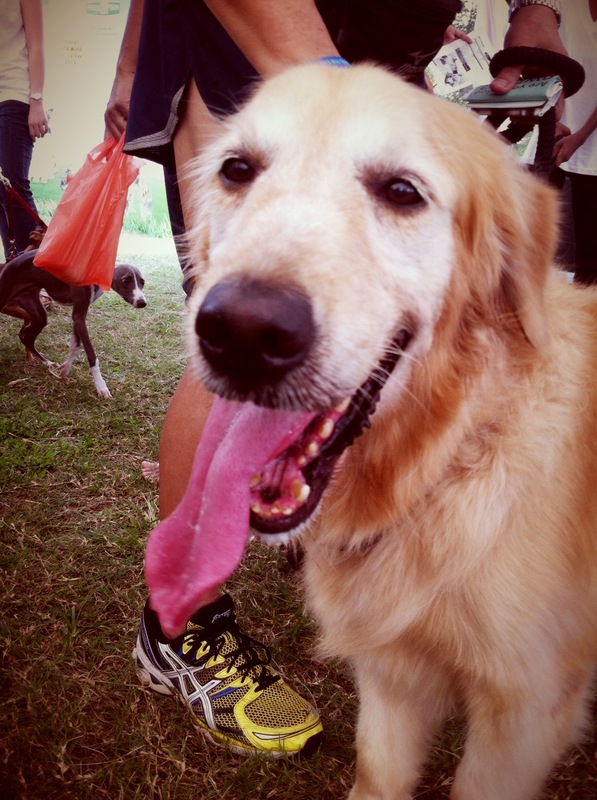 This entry was posted in Dreamer's highways, Life in Singapore, The Sanguinism of the Journal and tagged animal welfare, dogs, east coast park, pets, SPCA, World Animal Day. Bookmark the permalink. ← Eloise, The Story. Chapter Five.